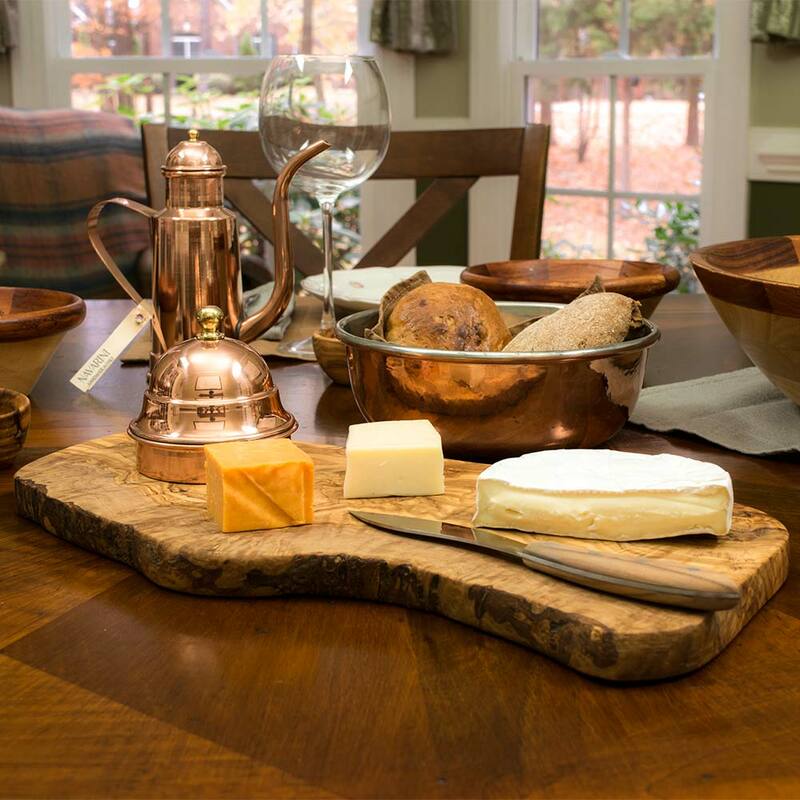 Our large 6-piece Oi & Butter Serving & Cutting Set will certainly be the conversation piece on your dinner table. 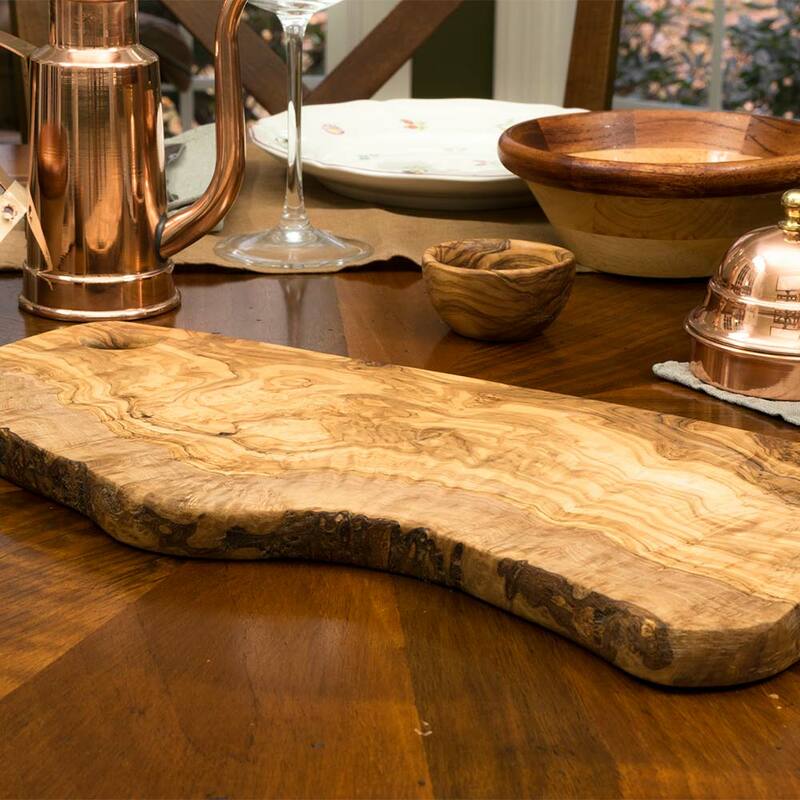 Our wooden serving & cutting board is handmade from original Italian olive wood. 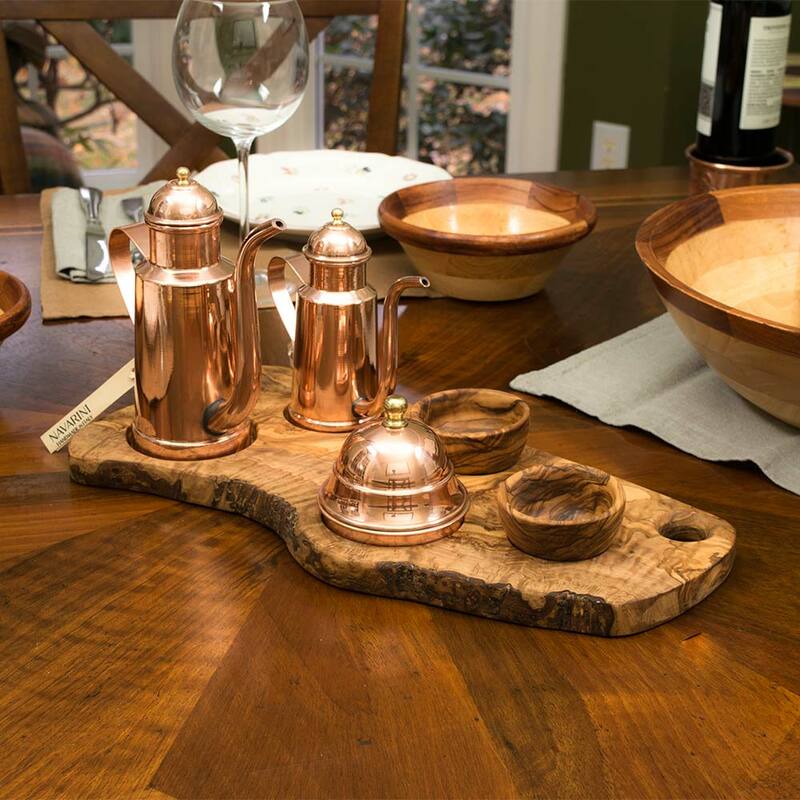 The wood is sourced from the beautiful Umbria region in Italy and custom made in the United States to fit our products. 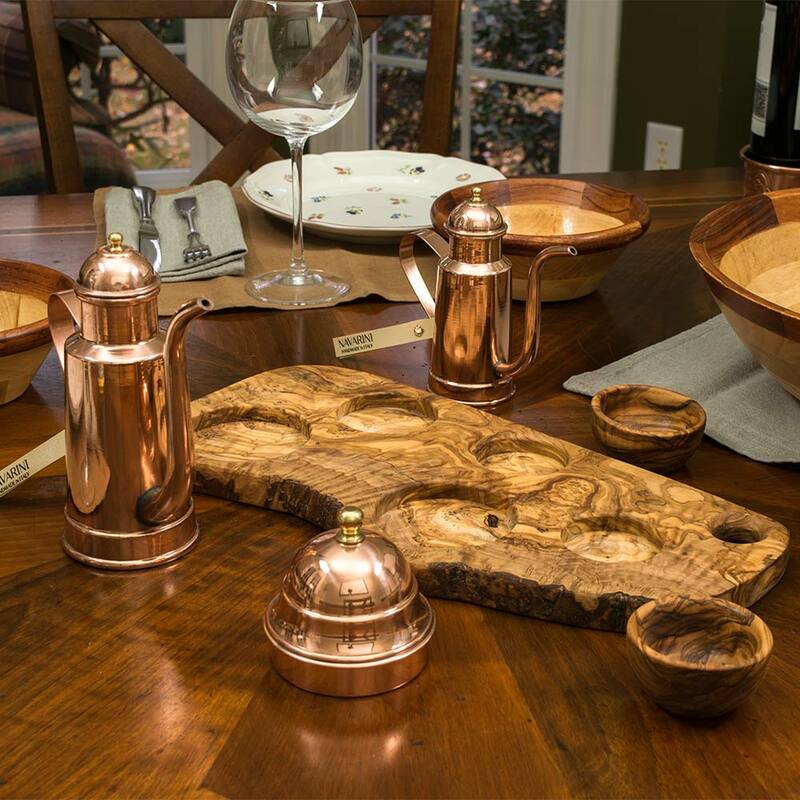 This board will situate our 0.16qt and 0.36qt copper cruet as well as our 3-piece butter keeper and 2 of our olive wood pinch bowls. - The lower container of the butter dish (water reservoir) holds the water to keep the butter cold. 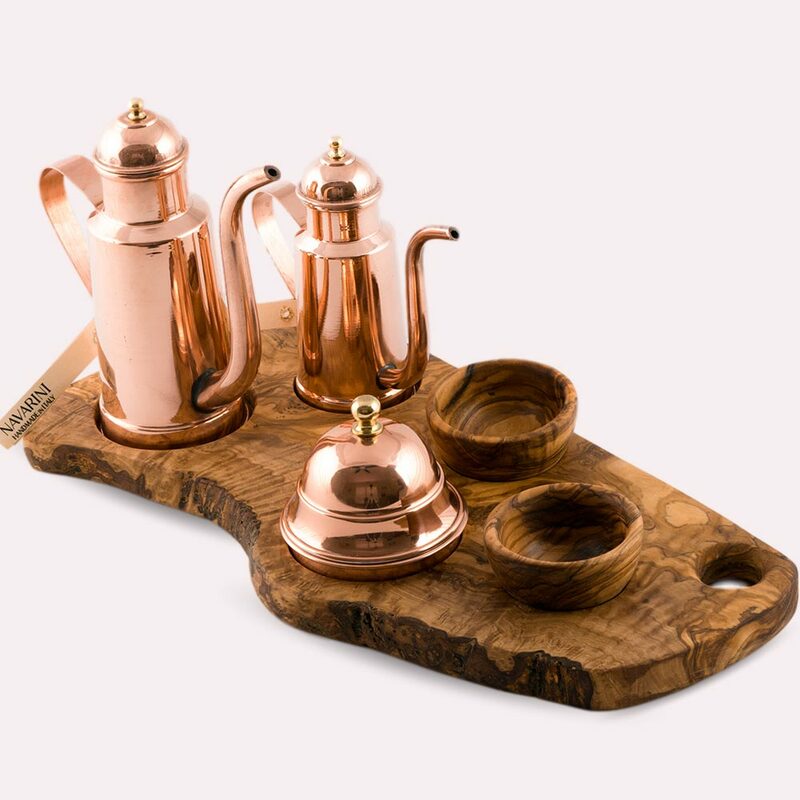 - The tin-lined butter inset allowing the butter to rest in the water without getting wet. 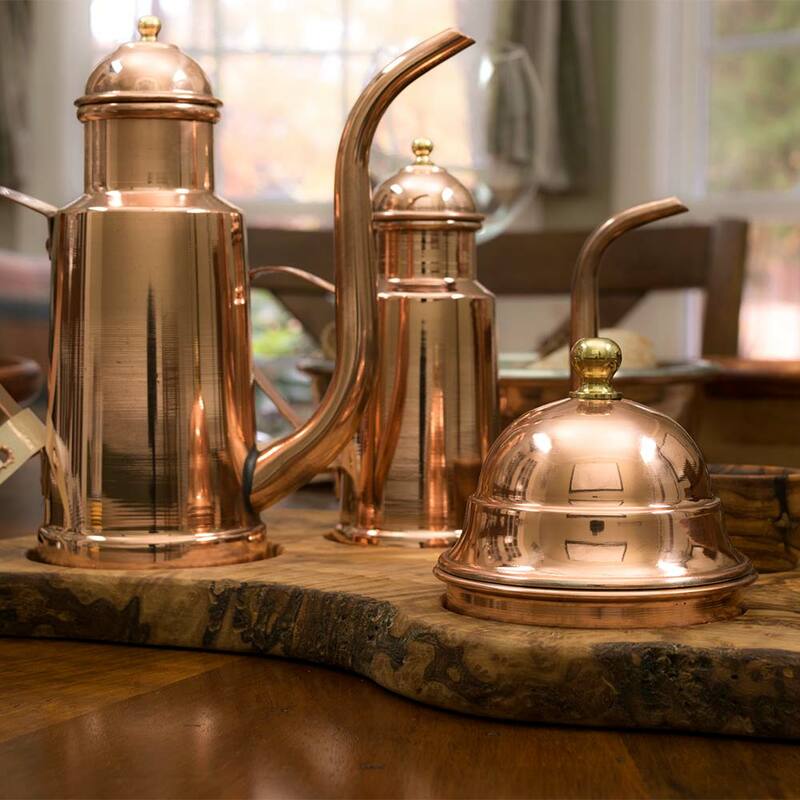 - The bell-shaped lid securely covering the butter keeper.